Play On: Indianapolis Colts -3.5. Brian Hoyer has been named the starter over Johnny Football Sunday against the Colts, but it won’t really matter which one of them lines up under center. 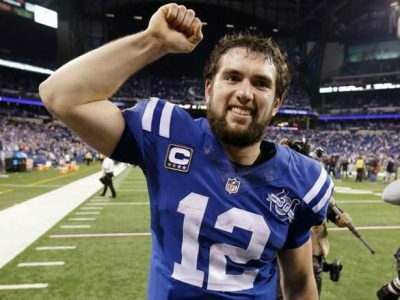 Hoyer was pulled after having a poor performance last week against Buffalo, and there’s just no chance he’ll be able to keep up with Andrew Luck and this explosive Colts offense. The Colts are 8-4 and are coming off of a huge blowout win over the hapless Redskins. The offense was clicking on all cylinders, putting up a whopping 49 points. Chuck Pagano has really done a great job with this team and if they can tighten up the defensive unit, they’ll be a real threat come playoff time. The Colts hang their hat on explosive plays, as Reggie Wayne has done a tremendous job of mentoring the young T.Y. Hilton, who has become the focal point of this offense. Indy leads the league at 6.2 yards per play. That will surely continue against this Browns stop unit. Trent Richardson has been a disappointment since arriving in Indianapolis. However, he is facing his former team for the 1st time since being traded, so if we were ever going to see a big showing out of him, this is the time. Either way, Cleveland doesn’t stand a chance of keeping up with this powerful Indy offense. Take the Colts. I’m on an 13-4 run right now in all sports, making a TON of money for my clients. Lots of great single game packages for today’s college football, or purchase a weekly or monthly subscription for the BEST VALUE. Let’s make some MONEY!